Young talent - disobedient, looking for challenges, dynamic and focused on improvement – with this explanation Piotr Wielgomas – CEO of BIGRAM, began the debate entitled Young talents – challenge for recruitment, but the opportunity for innovations. 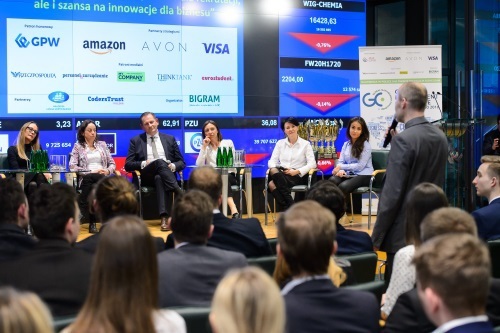 The debate took place at the Warsaw Stock Exchange as a part of Global Management Challenge final ceremonies on 6 March 2017. Each year, the GMC competition brings together young talents, that’s why the finals were an excellent opportunity to talk about it. The debate was directed by Marcin Piasecki – the editor of Rzeczpospolita. 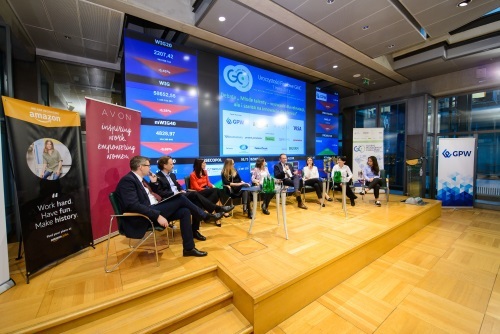 In the panel discussion took part representatives of reputable employers (Avon, Amazon, Grupa AXA, PKN Orlen, IBM). Acquiring young talent at the current market is a major challenge. Companies compete with their offers, presenting beautiful offices, attractive benefits, but also opportunities for developing. "It’s a very good time for young people who are able to demonstrate diligence and activity," said Marcin Piasecki. Employers prospecting for young talent take care about employer branding. By participating in recognised projects or competitions like GMC, they encourage students and young graduates to apply. Communication with young talent moves into social media. However, attractive advertisement is not enough to attract young talent. Candidates are asking employers about their mission, the strategic objectives of the company, check the way the company do business, values, organisational culture, the impact on society or ecology. Panellists also wanted to know how best to work with young talent that’s already been already hired, how to build loyalty in a generation which plans to change employer every two years, according to a study by Motywacje Młodych. “Young talents need to face variable challenges and goals to pursue their own tasks and give opportunity to demonstrate creativity and effectiveness in action,” said Maya Krzyżanowska from PKN Orlen. For a new generation of talents, work-life balance is increasingly important. But employers sometimes require full involvement, because business takes place 24 hours a day. For employers who create innovation, it will be much easier to get new loyal employees. 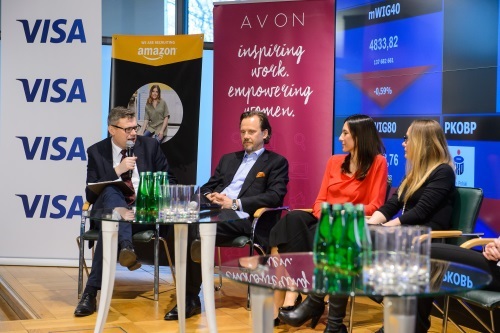 Magdalena Bubeła, HR director, gave the example of Avon, where mentors and supervisors ensure the development of young workers, and any failures are discussed at the internal meetings. "There’s a space, time and place for a discussion of these failures, to draw conclusions. Thanks to that, we continuously develop, learn from mistakes, successes, learn from each other. " Panellists agreed that young talents through their creativity, commitment and passion are the source of innovation and inspiration for business. Millennials are a growing group of employees, but they are also clients who influence the development of new products and services. Andrew Horawa, a business development executive CEE at IBM, spoke about their large role in the development of the business. The debate was moderated by Marcin Piasecki, editor of Rzeczpospolita. The participants were Magdalena Bubeła (HR director, Avon), Marta Dworowska (regional senior HR manager, Amazon), Maya Krzyżanowska (director of employee competence and development office, PKN ORLEN S.A), Andrzej Horawa (business development executive CEE, IBM), Agata Jach (HR director and board member, AXA Group), Beata Jarosz (CEO, CodersTrust Poland), Piotr Wielgomas (CEO, Bigram), Monika Tarlaga (PhD student, GMC ambassador). The debate was organised by Bigram. In the audience were invited guests and the GMC finalists. The growing importance of workplace management to drive business performance has turned the spotlight on the role of facilities managers. Correct guidance on how to act in situations where conflicts of interest may occur is crucial as the property business becomes more complex. More than 20 years’ experience as an employer combined with the role of advisor and auditor to international clients has taught me that moral value is intrinsically related to financial value. Each year an increasing number of millennials is entering the workforce. It’s estimated that by 2025, about 75% of employees globally will be under the age of 35.